The land gleams with the amalgamation of various designs of architecture that are depicted in its forts, palaces, arts and crafts. 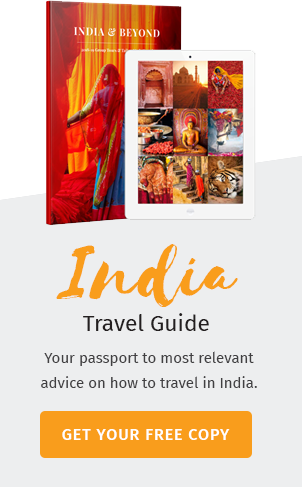 With its brightly lit landscapes and culture mixed with the ever prevailing heritage of the land, India astonishes the world with its vibrant beauty. India, the world’s fourth largest network of railway has successfully illuminated itself with few trains that guarantee you a royal treatment where you shall be taken across the country’s most famous landmarks. Reliving the glory of a rich past, these trains prove to be one of the world’s most extravagant luxury journey. Sometimes the journey is more astonishing than the destination itself. The Maharaja’s Express which offers one of the most royal treatment in the Indian Railways is a journey fit for a king. All the cabins have large windows so that you can view the grandeur of the country. You will be served food on plates lined with gold and the glasses are studded with hand cut precious stones. The variety of the food and beverage is a lavish spread. 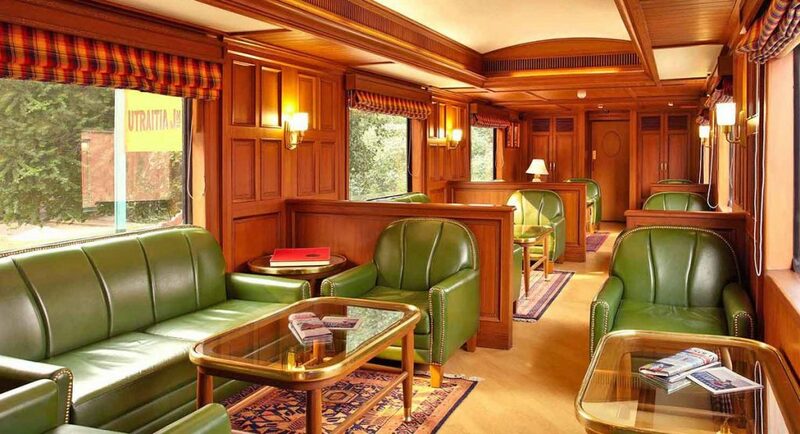 This luxury train is the most expensive train on earth and one of the most sophisticated. The train journeys across famous landmarks for 8 days taking you to the most amazing places in India. The train itself is almost a mile long. 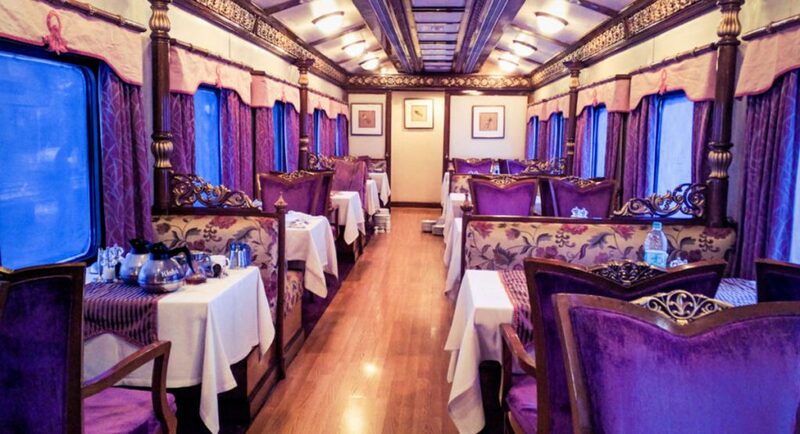 Enjoy the pleasures of royalty while on board the Maharaja’s Express. The Golden Chariot that operates in the south of the state of Karnataka is also renowned for its luxury. Travel on board the Golden Chariot and unlock the secrets of the south. With the state-of-the-art cuisine served to you on board by experienced waiters with an unending streak of delicacies. The Golden Chariot is south India’s first luxury train and is full furnished with a spa, gym room with steam bath and shower, lounge bar, Ayurvedic center, business center and a couple of restaurants. Apart from the extremely luxurious trains, India has exquisite boat cruises which take you around serene backwaters. The Oberoi Motor Vessel Vrinda cruises along the backwaters of Kerala and is the largest houseboat among all the houseboats in the land of backwater cruises. The boat is not your typical houseboat. Instead the rooms are furnished with brightly, colorful walls and feel spacious and comfortable looking like a proper hotel room. The cuisine on board the boat is unique and innovative with a blend of Kerala and continental cuisine. The ingredients used to prepare the food are freshly collected and garnished with a touch of western delicacy. The other backwater cruise can be availed in the Mahabahu Cruise which also operates in the River Brahmaputra in Assam. You can enjoy the authenticity of Assam on board the luxurious houseboat cruise as you paddle along one of India’s mightiest rivers. The rich variety of culinary delights available on board will make you want to extend your journey further. The Taj Lake Palace in Udaipur, Rajasthan is noteworthy for its luxurious accommodation fit for a king. The Jiva Spa which is a spa that belongs to the Taj Lake Palace is set in a boat floating on water. The spa helps you rejuvenate and have a relaxed time on the man-made lake whose center lies the Lake Palace of Udaipur. Set in the serene heart of the Himalayas which is one of the most preferred spots for meditating and yoga, the Ananda in the Himalayas is a luxury spa resort. You can have a variety of spa treatments including massage, stress management, weight management, ayurvedic treatment, Dhyana meditation and fitness training. If you are looking for the best luxurious hotel to stay in India, the Taj Mahal Palace hotel at Mumbai, Maharashtra is the perfect place. If you crave for a life to live like a king, the Taj Mahal Palace hotel is best suited for you. The entire palace is grandly furnished with the best style in décors. The lobby of the hotel itself is an awe inspiring set which makes you want to pause and take in all that beauty. The rooms, restaurants are fully set with all your needs making this hotel the best in India. The ultimate holiday destination on a luxury streak is the Oberoi Udaivilas in Udaipur, Rajasthan. 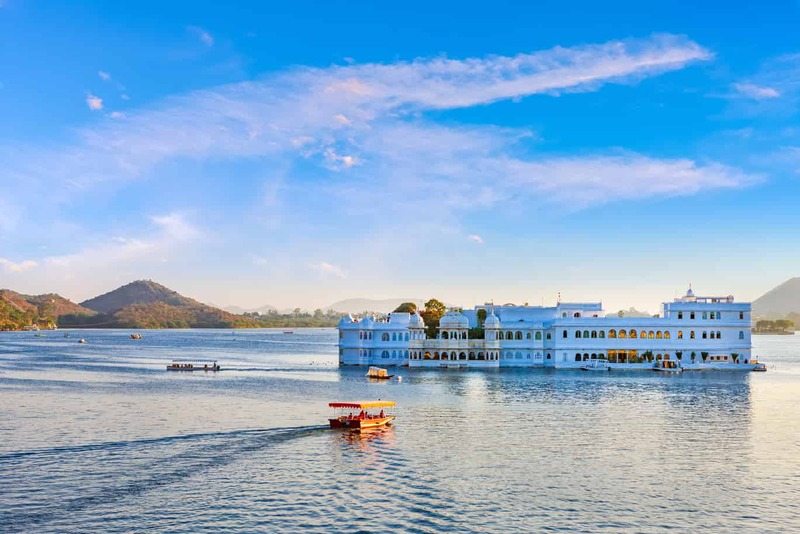 A stay in this hotel starts with a serene ride along the Lake Pichola to the Oberoi where you will be welcomed by the staffs. The rooms are delicately arranged with all the comforts you can think of. The hotel also has a spa whose services you can relish in. situated right in the land of kings, the Oberoi Udaivilas is a place fit for royalty. Amanbagh in Alwar, Rajasthan is situated amidst a lush of trees set against the backdrop of a mountain painted voraciously in green. This resort set in Alwar of Rajasthan is one of the most preferred luxury destination in the state. With a pleasant atmosphere that lets you relax in the lap of nature, this hotel offers a stay which will surpass any other. Built as a palace, the Amanbagh resort is an exquisite piece of architecture with beautifully carved structures. The Samode Palace was once the residence of the royal family of Samode. 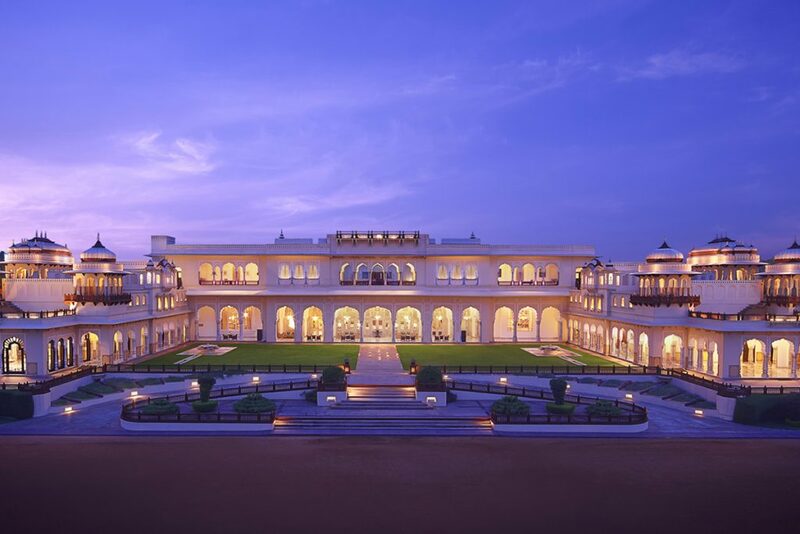 Hence, you can expect a royal treatment set in a royal palace of Samode, Rajasthan. The palace was originally constructed as a fort but later it served as a summer retreat for the royal family who years later turned the palace into a luxury hotel. The entire palace is woven fully with intricately carved designs that redefine luxury living. The rooms, courtyards and gardens are decked with scented flowers which add to the pleasantness of the palace. The lavishly decorated haveli gives you the best of Jaipur and a chance to bask in the life as a royal. Built in the center of a lake in Udaipur, the Taj Lake Palace is a marvel of a monument that makes you enjoy the most during your vacation. With the richest flavors which can be offered in India, Taj Lake Palace has one of the best culinary team in the premises. Once in the hotel you can go for an entertaining and insightful tour along the palace and relive the beauty of the bygone eras in the palace. With the best luxury resorts and cruises in India, you can gladly plan for a vacation to the land of heritage, culture and diversity.